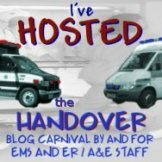 I had some exciting news the other day, and I figured I should share it with you all to show how the industry and profession of pre-hopsital care is starting to see the value in EMS Blogs. I approached a very well respected and well know research based, peer reviewed journal last week with an offer to write for them. After all, nothing ventured, nothing gained right? I had an idea to do a permanent feature in the journal where I would introduce and show case one EMS blogger each month, then write a round up about what the main topics of discussion and interest are in the EMS Blogosphere for that month. I assumed that there would be some discussions to be had and some explanations to be given about bloggers and blogging to allay the usual fears of the establishment about what we do. I never would have imagined that the journal would have such a forward thinking and open minded editor. Its one week after I sent the email and it has been suggested that I will have a 2 or 2.5 page spread each month to bring the readers the views from the EMS Blogosphere. All I need to do is send in my first two planned articles for the editorial team to review, and then hopefully, its full steam ahead. Im sure I am not the only one to think that this is a huge step forward. Yes, we have a presence on line through the various web sites such as JEMS, Fire&EMS Blogs, EMS1 etc, but to actually be included in a print periodical that focuses on research,practice development and education is a fundemental shift in how bloggers are seen and should also start to open up new groups of readers that we have never been able to access before. Im not going to say the name of the journal quite yet, as I want to make sure everything goes as planned before I announce it all formally, but I thought I would put something up as I am taking a few days away from the blog to concentrate on coming up with the standard of writing that should sit along side academic papers. I tell you what though, its a whole other thing writing for publication rather than just putting my thoughts on to my blog. Exciting times though, im sure you will agree. Wish me luck, im going in! « A Fresh New Look? Fantastic news, Mark. Well done! Great news! I'll wish you luck, even though you don't need it. Congrats Mark, and thank you for taking this big step forward for the EMS community. I'm anxious to read it.